Are you sure you want to know? 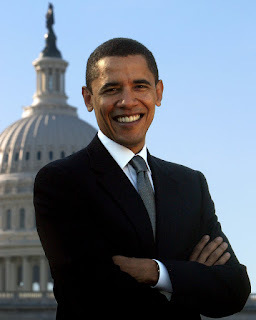 : The Inauguration of Barack Obama is today! The Inauguration of Barack Obama is today! The United States is buzzing, literally. Everywhere you go it's Obama, Obama, Obama. The TV's are constantly running clips about the inauguration, the radios are running interviews with people that are there. It is truly an historic day in the US, I never thought that I would see it happen - a black man elected and installed as the President of the United States of America. For the first time in as many years, uhm can you say Bill Clinton, people are actually interested in the Inauguration. The 1992 election was the first time I cast a vote in a Federal Election and my parents were terrified when I told them I voted for Clinton. I recall watching the Inauguration that year but since then I've had no interest in it and the 20th of January every fourth year was just another January 20th. But this year is different, people are actually interested in the inauguration. Today is the day that America has been waiting for since we elected President Obama on that November day last year. So many people have 'Obama-fever' it's crazy. Last week I was talking with a co-worker about the Inauguration and she told me that she was "taking the day off so I can watch it at home." Heck I would have liked to have taken the day off as well, but I'm saving my vacation days for a trip to Amsterdam in April to celebrate my birthday.......so I went to the Events Manager at work with a plan in mind. So today, we're going to be showing the Inauguration in our "Conference Center" and letting people take time off from work to watch. We've set up tables and chairs so that people can bring their lunch and watch our first black President take his oath of office on Abraham Lincoln's bible. What are you doing for the inauguration? Great post, and this is indeed a great day in history! Please check out this exhilarating piece of artwork commemorating this great day! It features Barack Obama set on a background of the 13-Star flag, and Lincoln's Gettysburg Address. I think the whole world is looking at the inauguration, Michael. And, well... Living in Europe and working in a very multi-cultural work environment, I can tell you that I also feel a new hope and happiness all around me. We watched it live on CNN! Guess who's coming to Chicago JUST to see me? Will Oprah be the next Senator from Illinois? I'm on the Feast of Fools again! Today was the best and worst day rolled into one!